Teacher directed: choice of subject imposed Student-driven: freedom within limits. All the students are taught at the same level Every child works and learns at his/her own pace. 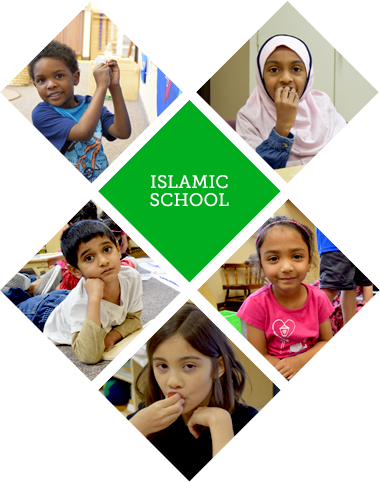 The Montessori School of Excellence is not a Montessori school that adds an Islamic component or an Islamic school using Montessori “secular” education. Rather, it is a confluence of both Islamic teachings and Montessori methodology integrated into one seamless experience. Montessori philosophy echoes Islam’s focus on learning through reality by leading the child to understand his or her place in the “cosmos”. It also resonates with Islam’s focus on developing the innate human inclination to virtue and intellect. Thus, reconciling them did not require force-fitting either one to the other as they are mutually compatible. Rather, it required thinking deeply about how Montessori principles and methods correlate with teachings in Islam and then weaving them together into one harmonious whole. We believe that knowledge of the world and religion are compatible and intertwined, and therefore, we make no artificial distinction between secular and sacred knowledge. This belief guided the way we have designed our curriculums for both primary and elementary education. When we teach math, science, language, and other subjects, we are teaching students about God’s creation. Students thus grow not to see religion and God as a separate part of their lives, but as a way of looking at the world that permeates everything in the universe. Fitra is an Arabic term that means the innate and beautiful essence of the human being that seeks virtue and is in harmony with the natural and spiritual world. In the Islamic world view, each baby is born on the pure fitra. Further, Islamic teachings are meant to be compatible with the fitra and are designed to cultivate it to a character of excellence. To match human nature, Islam provides a “middle way”: both balanced and moderate. As educators attempting to foster the fitra, we believe that we should not impose an artificial order to the child’s life, but unlock their innate virtue—since within them are already the seeds of integrity and intellect. A gardener does not attempt to force a seed to change into the shape of a tree, but rather provides a fertile environment and lets it grow. Similarly, the child needs to be provided with resources, inspiration, guidance and companionship to self-actualize. The Montessori Method has proven to produce great results by tapping this inner potential and emphasizes self-direction and creativity.